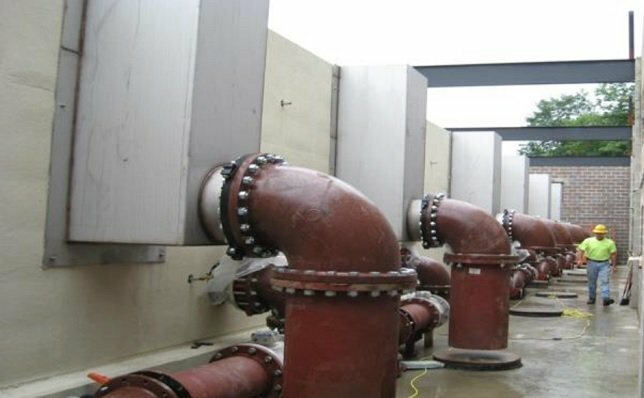 Governor Cuomo announced $75 million in grants to support 45 drinking water and wastewater infrastructure improvement projects throughout New York State. Grants leverage $440 million in water quality investments, providing $284 million in savings for taxpayers. Photo by: NYS Environmental Facilities Corporation, via NYS Water Grants Webinar Presentation. Albany, NY - December 15, 2015 - Governor Cuomo announced $75 million in grants to support 45 drinking water and wastewater infrastructure improvement projects throughout New York State. This funding will leverage more than $440 million in total project costs to improve New York's infrastructure and is expected to save local taxpayers over $284 million through a 59 percent reduction in municipal costs. "New York invests more to protect water-quality and strengthen water infrastructure than any state in the nation," Governor Cuomo said. "These grants will make it easier for localities to make the critical upgrades that ensure their water systems continue to provide New Yorkers with safe, high-quality water." The New York State Water Infrastructure Improvement Act of 2015 was established as part of the 2015-2016 New York State Budget and provides $200 million in grants over three state fiscal years. Funding is administered by the Environmental Facilities Corporation, and the Departments of Health and Environmental Conservation. Senate Majority Leader John J. Flanagan, said, "I am pleased today to join the Governor and my colleagues in the Legislature, including Senate Environmental Conservation Chair Tom O' Mara, to announce a series of local government grants designed to improve water quality and save taxpayers more of their hard-earned money. At the end of the day, there's nothing more important than ensuring clean water for the residents of our state. We must continue to partner with local governments to address their infrastructure needs in a manner that is both cost-effective and taxpayer-friendly." New York State Assembly Speaker Carl E. Heastie said, "This announcement of water infrastructure funding is a significant investment in the future success of counties and municipalities throughout the state. These projects will improve essential systems and alleviate a significant tax burden residents would face if not for the states investment. I would like to thank Steve Englebright, Chairman of the Environmental Conservation Committee, for his leadership on this issue." In addition to grants, EFC provides interest-free and low-interest loans to communities to further reduce the cost of infrastructure projects. The grants announced today are expected to be supplemented with more than $362 million in interest-free and low-interest loans, allowing for a more fiscally sustainable investment for these communities. A project map with detailed information on each grant recipient is available here. New York State Senate Environmental Conservation Committee Chair Thomas O’Mara said, "We're hopeful that ongoing state assistance will prove successful in helping localities undertake these critical projects, including sewer and pipeline repairs. We're also hopeful that it can represent a long-term model for how the state-local partnership can be strengthened for the good of local environments, local economies and local property taxpayers by helping municipalities meet critical infrastructure needs while remaining within the property tax cap." New York State Assembly Environmental Conservation Committee Chair Steve Englebright said, "These water infrastructure grants were created to help local taxpayers by having the state provide grants to improve water quality. I am delighted that the program is providing real benefits in this first round of funding. All most every town and village on Long Island has projects that could be helped through these water infrastructure grants." New York State Department of Environmental Conservation Acting Commissioner and EFC Board Chair Basil Seggos said, "Upgrading our clean water infrastructure is essential to protecting our environment and sustaining our continued economic recovery. We are grateful for Governor Cuomo's leadership and the legislature's hard work in helping to dedicate these critical funds. DEC is proud to work with EFC in advancing these important projects across the state and look forward to working with these communities on their successful implementation." New York State Environmental Facilities Corporation President and CEO Sabrina Ty said, "This funding will be instrumental in strengthening the infrastructure of our water systems throughout the state and will protect and improve both public health and the environment. Under Governor Cuomo's leadership, New York remains committed to advancing environmental infrastructure projects at the lowest possible cost." EFC invests more than $1 billion each year to fund water-quality improvements through the Clean Water State Revolving Fund and Drinking Water State Revolving Fund, the largest and most active revolving loan funds in the nation. More information on how to apply for these loans are available at here (for wastewater projects) and here (for drinking water projects). Subject: LongIsland.com - Your Name sent you Article details of "Governor Cuomo Announces $75 Million in Grants to Local Governments for Water Infrastructure Improvements"